On your finger, he's a puppet; on your fridge, he's a magnet. Hope and care not included. Approx. 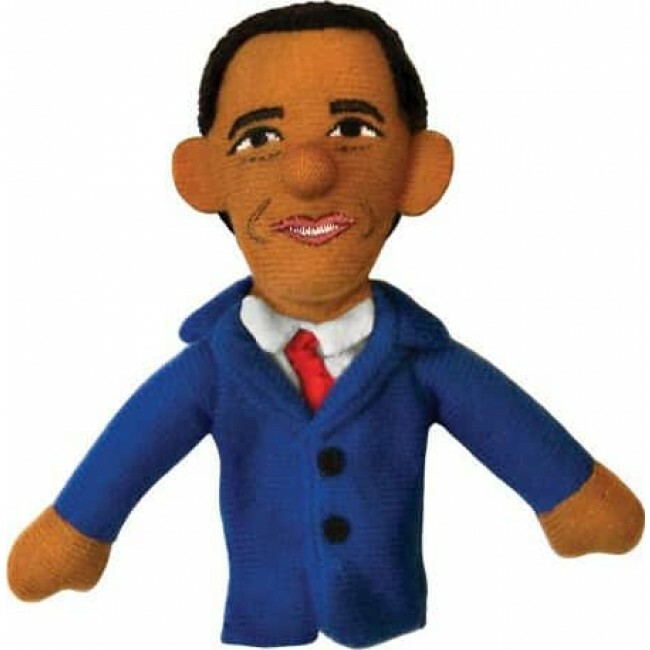 4"
Make your own inspiring speeches with this Barack Obama magnetic personality puppet! On your finger, he's a puppet; on your fridge, he's a magnet. Hope and care not included. Approx. 4"